Start your Esurance Claim Online Now! Glas Tek is a proud approved Esurance windshield replacement and auto glass repair shop. Esurance has authorized a third-party administrator to file windshield replacement or auto glass repair claims on their behalf. Glas Tek is a certified program member and gladly embraces Esurance’s rigid guidelines and pricing, guaranteeing that a customer won’t be subject to any out of pocket expenses. Esurance policyholders must file a claim for a windshield replacement or an auto glass repair directly with a live agent over the phone. As such, Glas Tek will help you begin the process of filing your claim directly putting you in touch with the Esurance glass department. Once the conference call is connected and the claim is filed, Glas Tek will obtain authorization to replace the glass. Each call that lasts about 15 minutes or so is monitored or recorded for quality purposes, as you’ll be informed by the Esurance representative. The representative will ask the policyholder numerous questions relevant to the claim being filed. Esurance will waive any comprehensive deductible for a windshield chip repair. So, if you carry a $500 deductible on your policy and your windshield has a small chip (smaller than the size of a credit card) than Esurance will pay to have it repaired in full. However, keep in mind, that windshield repairs are not a cosmetic fix and do not make the break disappear on your windshield. The outcome of the windshield repair depends on many factors including the type of break, location of break, time break has been on windshield, and the size of the break. Most windshield repairs will clear up to about 80% but no two windshield repairs will come out alike. Visit windshield chip repair process or windshield repair FAQ’s page to learn more information on repairs. 1. Can you please tell me your name and provide your Esurance Policy number? 2. When did the the damages occur? (The insurance company won’t be able to pick a date for you. You must supply a specific date, even if you can’t recall the actual date. In such circumstances, choose a date as close as possible as to that in which the damages occurred. Be sure that the insurance policy was in good standing and in effect on that given date). 3. Did the vehicle ensue any other damages or were there any losses, aside from the glass damage? 4. The representative will inform you that some personal information must be provided for verification purposes. At this time, the policyholder may decide whether the rest of this conversation be conducted on the current line, or if they so wish, utilize another phone. 5. Please provide your date of birth and the zip code as it appears on your policy. 6. Was anyone driving the vehicle at the time the damages occurred. If so, please provide the name of the driver. 7. Please state the year, the model, and make of the vehicle. 8. Can you please name the location and state in which the damage occurred? 9. What type of damages occurred and kindly explain it in detail? 10. The Esurance representative will verify your glass coverage. 11. The representative will ask for your email address to forward you relevant information about your claim. 12. Esurance will verify that Glas Tek will be completing the necessary work, while informing you that Glas Tek is an authorized vendor. 13. A referral number will be given to Glas Tek, so they can invoice Esurance for their provided services. 14. Glas Tek will arrange an appointment with you. 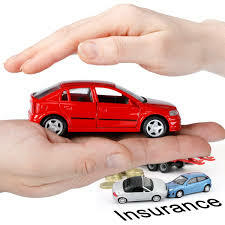 Esurance is a leader in auto insurance, providing services to people residing virtually throughout the United States. Most policyholders opt for auto glass damage coverage in their auto insurance policies. They are renowned for their exceptional customer service, facilitating claim filing. Its dedicated agents and low prices have helped Esurance grow. Policyholders must pay a deductible, but otherwise have few limitations with repairs. An excellent feature of Esurance coverage is that they recommend that their policyholders quickly contact the company for auto glass repairs to facilitate getting the job done effectively. 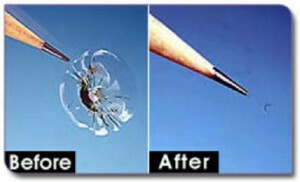 Prompt windshield repair ensures safety and cuts costs.